Discover Nikkei is a community website about Nikkei identity, history and experiences, where members of the community can share, explore, and connect with each other through diverse Nikkei experiences, culture, and history. 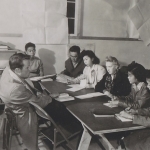 It is a cornerstone program of the Japanese American National Museum‘s Nikkei Legacy Project. You can find stories related to Amache by searching the interviews, journal articles, and albums contributed by community members for the terms “Amache” or “Granada”. Even though the site was not designed to focus on Japanese American incarceration, there are over 1600 items that reference Amache. This shows how deeply the incarceration experience affects the Nikkei community. Guidelines to submit an article. A series of videos explaining how to conduct your own oral history. Instructions for creating your own Nikkei Album. Make sure to let us know if you’ve added new Amache content and we can feature it here or in the news. Read about Amache survivor and DU Amache Project volunteer Gary Ono‘s search through his family’s collections of photos and memorabilia in preparation for his first field season at Amache. 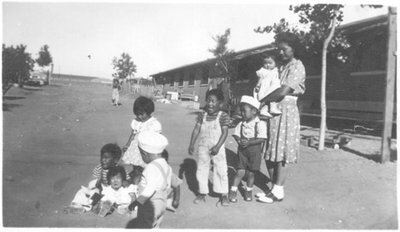 By Executive Order 9066, over 7,000 Japanese, most being American citizens, were forcibly imprisoned at the Granada Relocation Center in Granada, Colorado from 1942-45.